Hello, hello! I have a quick public-service announcement to share with you all. Chelsea, of Patch the Giraffe, and I are doing another charm swap. The low-volume swap we organized last fall was a blast. Everyone got an amazing collection of low-volume fabrics, and it was fun to connect with new fabric-loving friends. A second round of swapping is definitely in order. 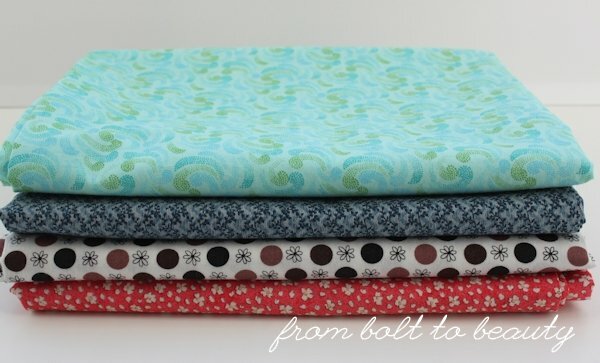 Our next swap is specifically for Art Gallery Fabrics. For more information and to sign up, visit Chelsea’s post. My local quilt shop offers a fun way to win a fat quarter. Hidden within a handful of the store’s bolts are petal-shaped pieces of fabric. If you’re at the cutting table and one of the petals falls out of a bolt you’re buying from, you get to pick a free fat quarter. The funny thing is, you could already be buying lots of amazing fabric, but somehow the prospect of the fat quarter is extra exciting. After all, it’s free, and you get to pick whichever one you want! 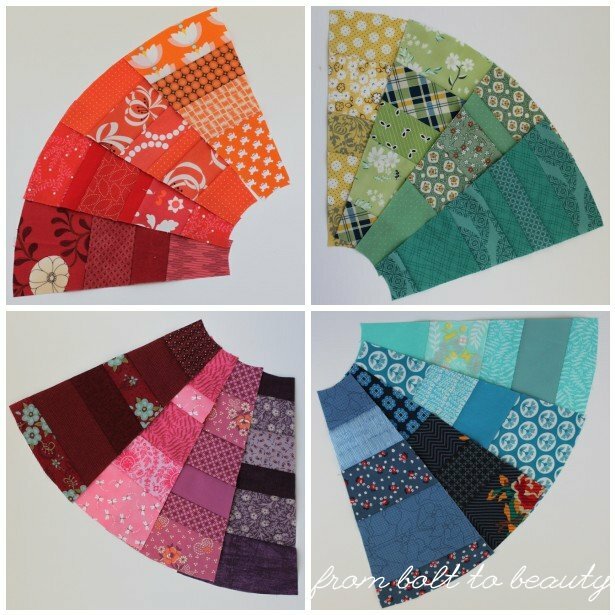 I’ve encountered a petal just once in my years of shopping there, and I think I spent more time laboring over which fat quarter to choose than I did the many other fabric decisions I made that day. I didn’t want to pick something practical, though. I wanted something different from my innate fabric tendencies. 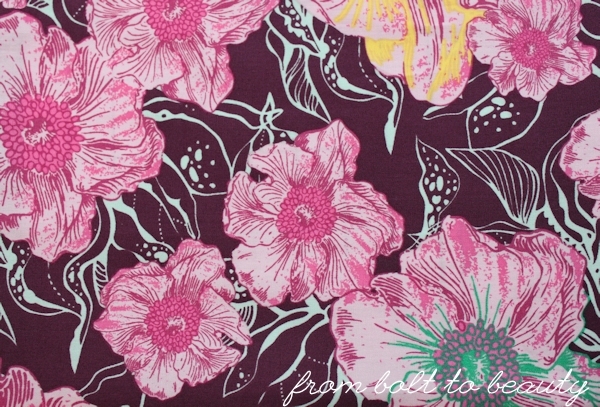 So I chose Lush Foliage, from Pat Bravo’s Hyperreal Garden line for Art Gallery Fabrics. 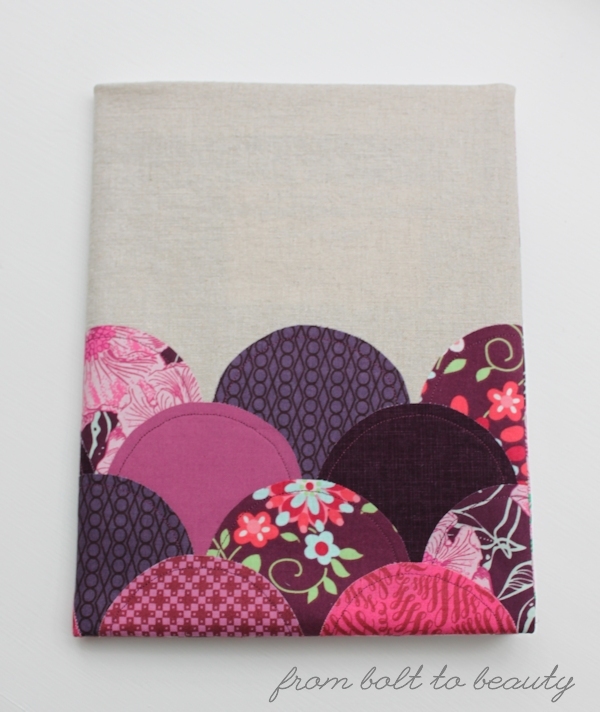 That fabric provided the inspiration for the palette behind my latest project, a clam shell journal cover. This is my first stab at a clam shell anything and my first project for the Curves Class I’m taking at Stitched in Color. I used Steam-A-Seam 2, because I had some on hand, to adhere the clam shells to the background fabric and then top-stitched the clam shells. The class project was actually a pillow, but Curly and Moe (names have been changed to protect the not-so-innocent) are hell-bent on destroying the pillows in our house, so any pillow—let alone one with raw-edge applique—has a limited shelf life. The journal cover was a more practical option for me. I don’t know what it is about me and purple these days. I’ve been using it a lot (here and here), in part because I had a few yards of a purple fabric from Amy Butler’s Love line and in part because the purples I’ve been encountering are especially lovely—more eggplant and plum than everyday purple. I chose fabric from Lizzy House, Tula Pink, and Robert Kaufman’s Quilter’s Linen line to flesh out my collection of clam shells. 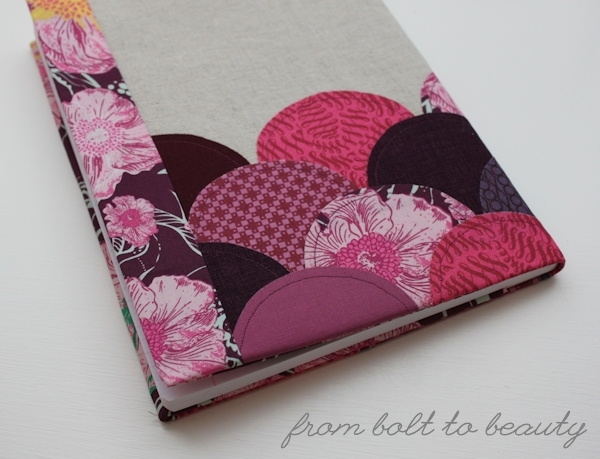 Fellow Curves classmates: If you’re interested, I used this journal tutorial, also from Stitched in Color, to transform my clam shells into a cover. I started with 18 clam shells and used a background that was larger than the square for the pillow project. Once the clam shells were securely stitched, I cut that fabric down and used more Hyperreal Garden to make my fabric rectangle the size specified in the tutorial. (Between the clam shells and those extra pieces, I used almost the entire fat quarter. 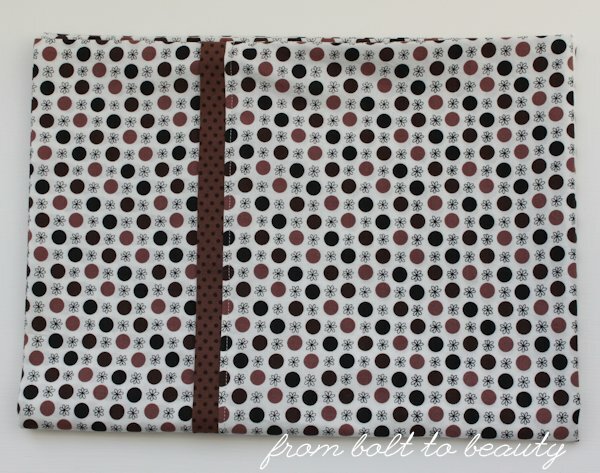 You can see some of that added fabric in the picture of the journal back, below.) The Steam-A-Seam 2 did add some bulk to the seams but not so much that I would do a second cover differently. What are your experiences with clam shells? I enjoyed this project; the raw-edge applique was nice and easy. If I did another clam shell project, what would you recommend? Welcome! 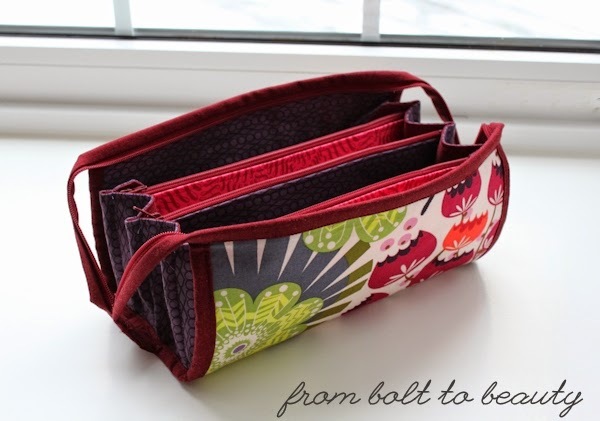 If you’re new around these parts, I’m Michelle and you’ve landed at From Bolt to Beauty, where I chronicle my triumphs (and tribulations) at my sewing machine. 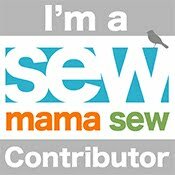 I sew—bags, pouches, pillows, curtains, you name it. I quilt—big projects, little projects, and everything in between. Sometimes I even play with felt or paper. 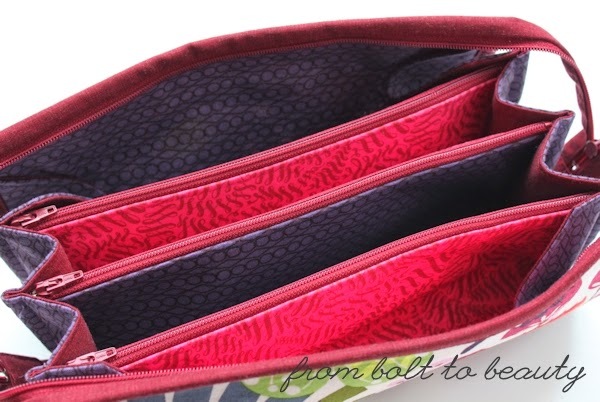 My latest one features Anna Maria Horner’s Loulouthi line on the exterior and Lizzy House and Tula Pink prints on the inside. Everything is trimmed with Quilter’s Linen in garnet. My 10-year-old self would have been heartbroken to hear that I’m not a fan of rainbow quilts, but I would have redeemed myself with the purple and pink interior of this bag. Would you believe that this latest iteration was harder for me than the original one? I had higher expectations this go-round. The first time, I was preoccupied with the zippers, and that part went smoothly. This time I was hoping to reduce the puckering I experienced on the sides and to bind the bag more neatly. I had some success on those fronts. For instance, check out the stitching under the binding. It completely blends into the zipper, and I love that! 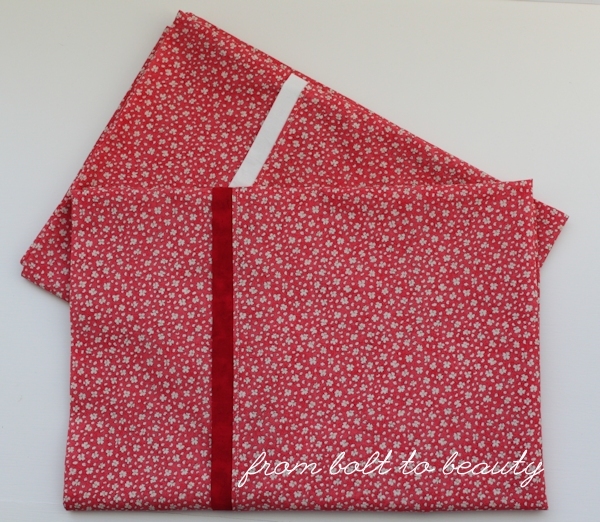 I have seen other quilters sew binding to a quilt top, wrap around to the back, and sew from the back, using bobbin thread that matches the front. The method worked especially well here with the burgundy zipper and thread. Now that I’ve experimented with it, I’d consider binding a quilt that way, too. Bags #3 and #4 are already in process. 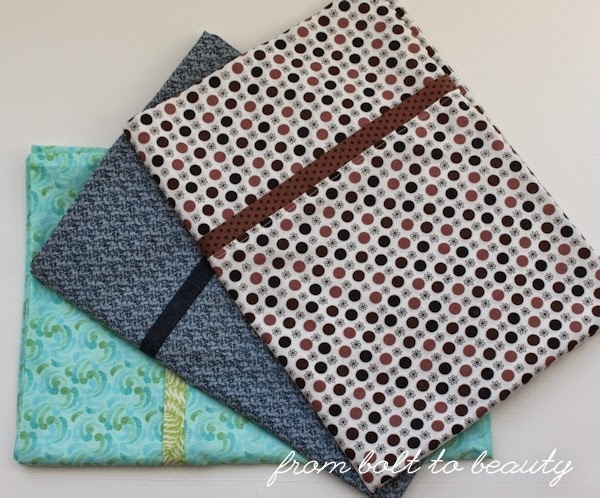 I need a little break from Sew Together Bags, but I look forward to finishing them up with slender sides and beautiful binding. 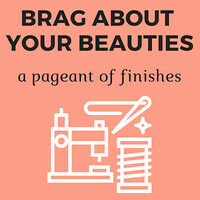 • Post your finish in the linky tool. One thing I am not high-maintenance about is my sheets. We sleep in white sheets at my house. They’re easier than patterned sheets—they don’t fade, and if you mix and match two different white sheet sets, no one notices. Lately, however, my white pillowcases have started to show their wear. It seems silly to purchase new ones when I have plenty of fabric on hand. And you know what? I’d like to lay my head on some Free Market Fancy at night! I found instructions for Guest Pillowcases in my copy of Weekend Sewing, by Heather Ross. She constructs the cases in an interesting way, so I thought I’d give her method a try. I know what you’re thinking, and your right: This is another small project to work on so I can avoid all the quilt tops that are piling up. It’s true. And my new machine—a Janome 1600P, purchased to be a piecing and quilting workhorse—has not been used. Of course, the first time I tried to use it, I did Something Very Bad to it. (The smell of melting plastic was a dead giveaway!) This was not a manufacturing problem; it was a me-being-a-bonehead problem. I’ve since remedied the situation—too horrified to go back to the dealer and confess my boneheadedness, I purchased a new foot pedal online—but between that incident and all the quilting waiting for me on the horizon, I’m feeling a bit timid! That’s not to say I haven’t made a rainbow or two myself. 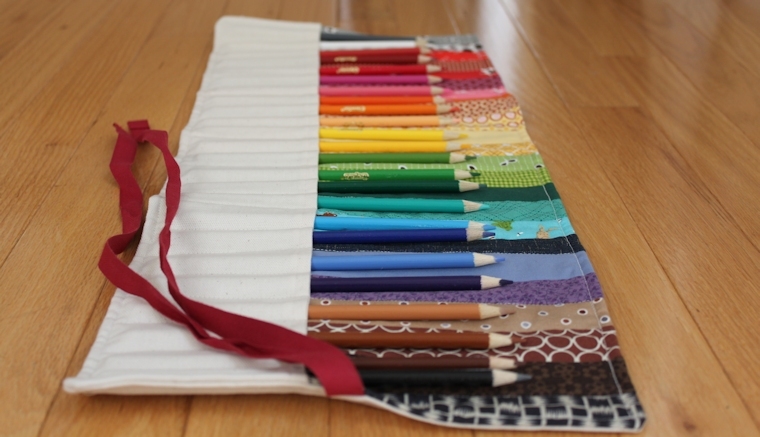 I made my Boyish Rainbow Quilt for my older son, at his request, and I sewed a fabulous rainbow pencil roll, designed by Pink Chalk Studios, for him as well. I thought I was done with rainbows until I signed up for Stitched in Color’s Curves Class. One of the projects is a wheel quilt. The class doesn’t start until next week, but I thought I’d get a head start by working on some fabric pulls, so I went straight to my scraps to see what might work. 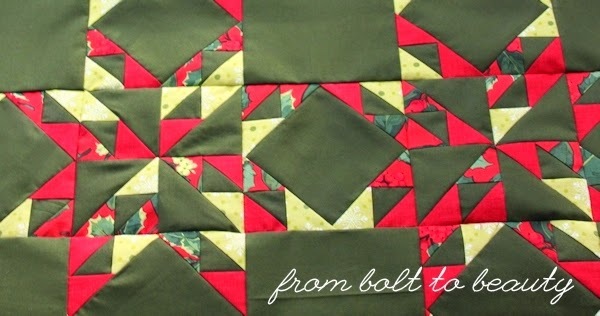 I quickly became excited at the possibilities and began sewing scraps together in chunky strips. (Have I mentioned that this class hasn’t started yet and I’m ahead of the game on something for once?!) I’m pleased at how things are turning out. I think the trick to building a color wheel is ensuring the transitions are gradual, and I have 16 shades to get from the start to the finish of this one. Do you think it works? I’ve had to return to my scrap bin to fill out the oranges and finesse the blues. If you think I need to rearrange or rethink something, I want to hear it! I plan on using some patterned neutrals for the background quadrants. Unfortunately, both you and I will have to wait to see how that turns out. I’ll be putting down this project until the class is well under way. Heads up: The Curves Class begins January 19. It’s not too late to sign up. (We’re going to have so much fun conquering those scary curves!) 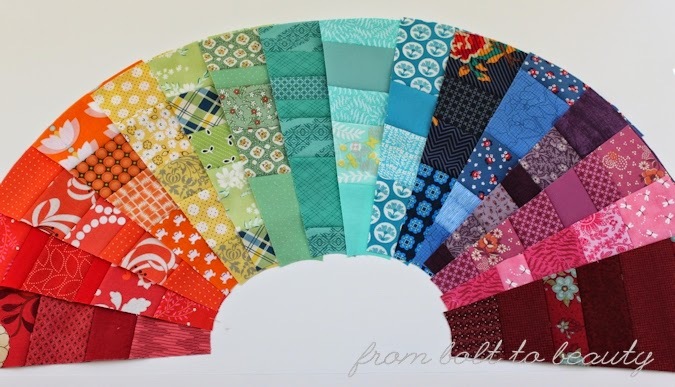 If you can’t swing a full class right now but need your own color wheel quilt, the pattern is available separately here. 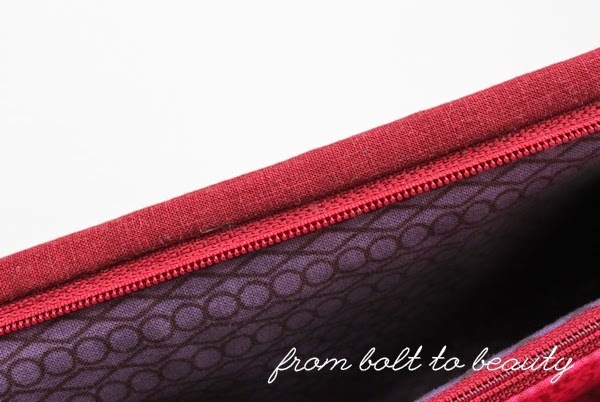 I plan on documenting my adventures with curves here on From Bolt to Beauty. 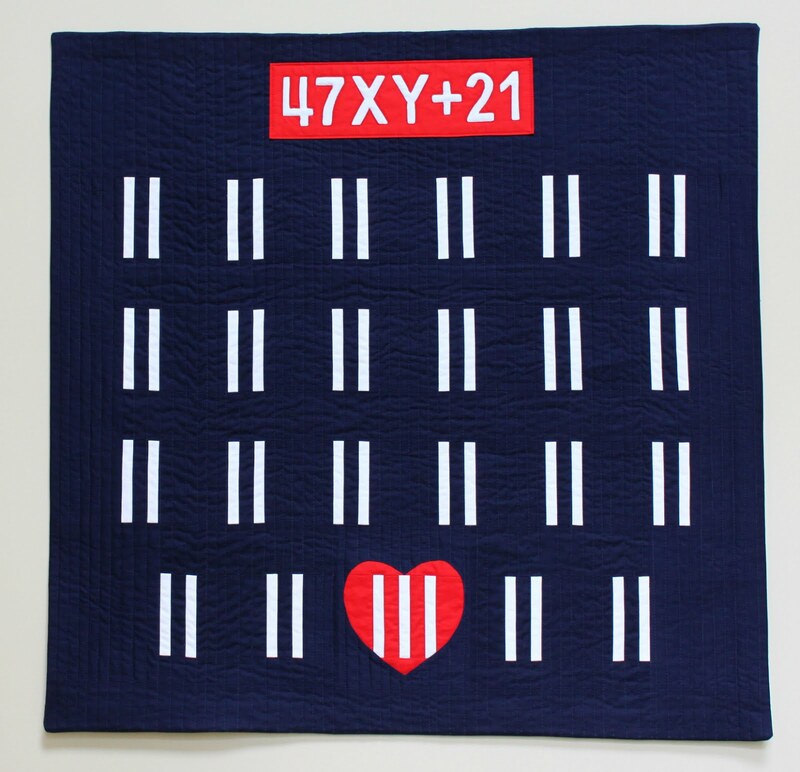 Update: You can view the final quilt here. We established earlier this week that triangles are not my friends. But squares? That’s a different story altogether. I recently arranged a swap with a friend who is a graphic designer by profession and knitter by all-consuming hobby (not that I know anything about all-consuming hobbies). She made me a cool new header for this blog. It was time for me to make the pillows promised in return. I really wanted to do something fancy. 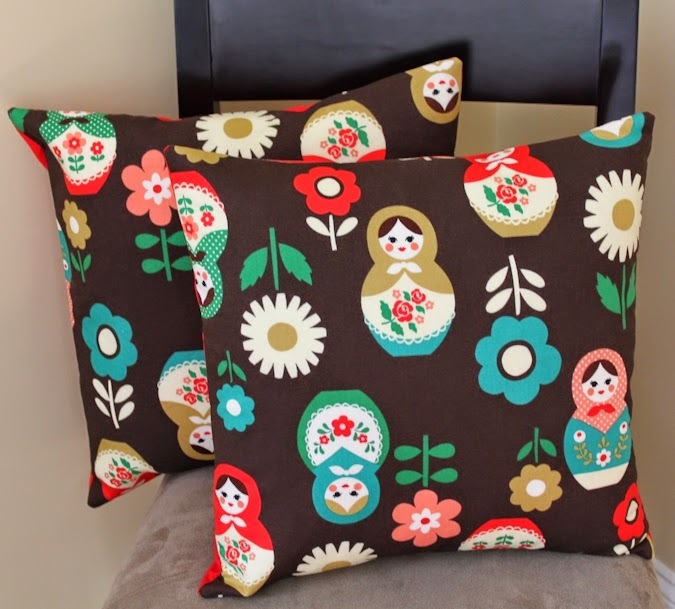 I have all the pillows I need in my house, so it would be fun to make some funky ones. But the fabric that my friend wanted transformed into pillows was so lovely that I had to ignore the allure of more complicated ideas and went with two simple square pillows with envelope backs instead. My friend purchased this fabric ages ago from Purl Soho. Isn’t it the cutest? I used quilting cotton for both the front and the back of these pillows. I interfaced the front with a layer of fusible fleece, just to give it more substance. I used a 1/2” seam allowance on this project, so I cut my fleece 3/8” shorter than my front fabric on all sides. Doing so reduced the bulk in the seam allowance while ensuring that the fleece would get caught in the seam, making the construction more secure. 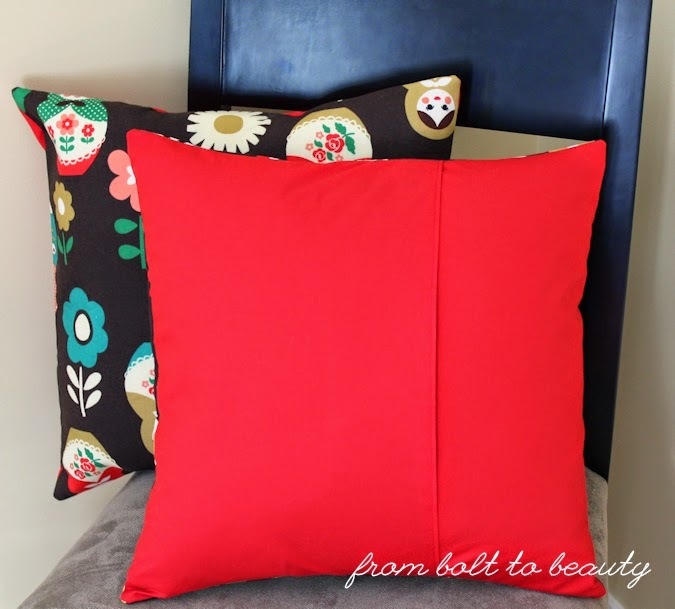 I used Amanda Jean’s tutorial for envelope-backed pillows. Her approach is the way to go when making pillows with quilting cottons. She uses a double layer of fabric on the back, and it makes a noticeable difference. I finished both pillows off with Kona Lipstick on the back. 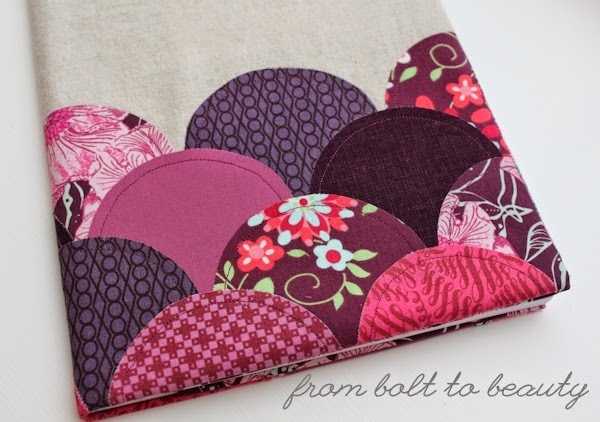 Have you encountered any especially cool pillow tutorials or patterns lately? I’ve had my eye on Christina Cameli’s Color Gradient Pillow, Jaybird Quilts’ Candy Dish Pillow, and Leigh Laurel Studios’ Scrappy Christmas Pillow. There was one small problem with this project: triangles. 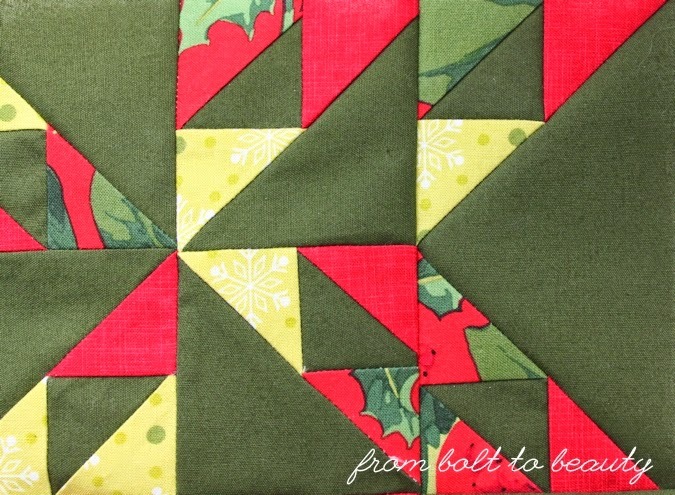 Olive green triangles, chartreuse triangles, red triangles, triangles within triangles. Holy Moses. What was I thinking when I started this bugger? I know: I thought it would be a great way to use up some Christmas fabrics I had on hand. I started this project back in spring 2014, and as someone who had been quilting for less than a year back then, I didn’t have a good grasp on the limitations of my skills or, more important, the degree of precision I liked in my piecing projects. I suspect I began to understand the challenges with this project when I set it aside in June. There was no way that I could maintain the integrity of those triangles. There were too many points to account for! I have two options right now, though: (1) Do the best I can to finish this mini despite its (surely many) imperfections or (2) Ball it up and shove it under my guest bed. 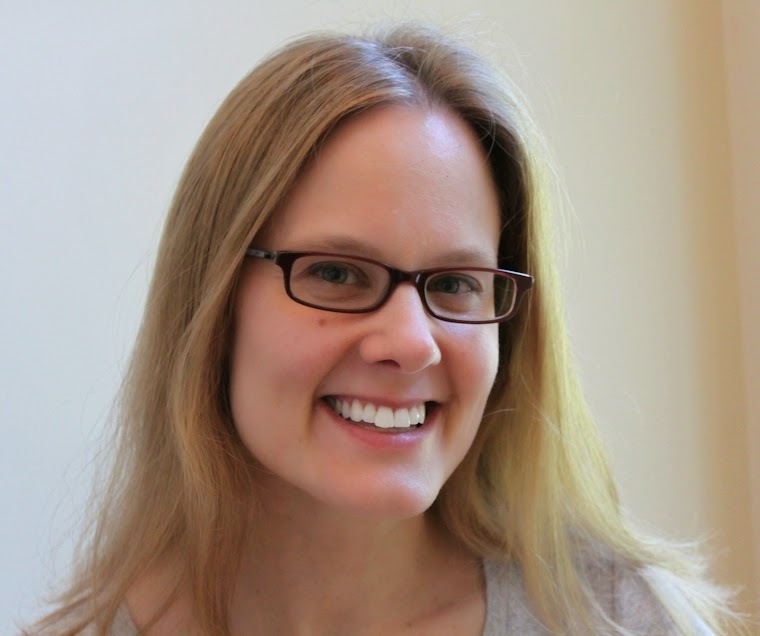 There are pitfalls about letting a project go months without attention. Although I wasn’t working on this quilt, I worked on many others. I’ve honed my skills and better understand the projects I like to take on. If presented this project for the first time right now, I’d hope that I’d pass. And if I had taken it on, I’d hope the piecing would be more precise, in part because I’d at least finish the top before moving on to something else. Also, months down the road from the onset of a project, it’s hard to stay connected to the resources spent in the early stages. I didn’t spend much, if any, money on this mini. But I had done a lot of cutting and piecing already. I’ve realized that it’s rare for me to completely abandon a project. I started a scarf a few months ago even though I didn’t have the yardage required by the pattern I was using. I thought I could make it work but ended up bailing. And I have a partially completed embroidery project. This is no UFO waiting to make it to the top of my priority list—this is abandoned, never to be picked up again. It happens. Where do you draw the line? How much do you have to spend—in your time or money—before you commit to something 100%? Does your graveyard of abandoned projects have a plot or two, or is it so big that it creeps into the next county?